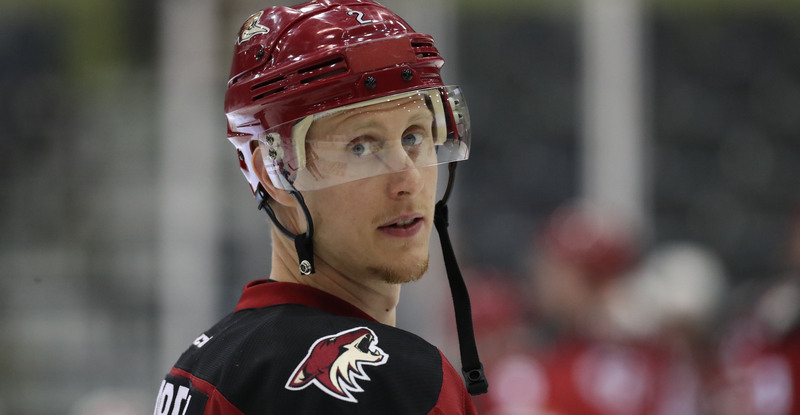 GLENDALE, ARIZONA – Arizona Coyotes President of Hockey Operations and General Manager John Chayka announced today that the Coyotes have recalled defenseman Andrew Campbell from the Tucson Roadrunners, the club's American Hockey League (AHL) affiliate.. The 30-year-old Campbell has registered 2-4-6 and 40 penalty minutes (PIM) in 47 games with Tucson this season. The 6-foot-4, 208-pound native of Caledonia, ON has totaled 0-2-2 and 12 PIM in 42 career NHL games with the Coyotes, Toronto Maple Leafs and Los Angeles Kings. Campbell was originally drafted by the Kings in the third round (74th overall) in the 2008 Entry Draft.